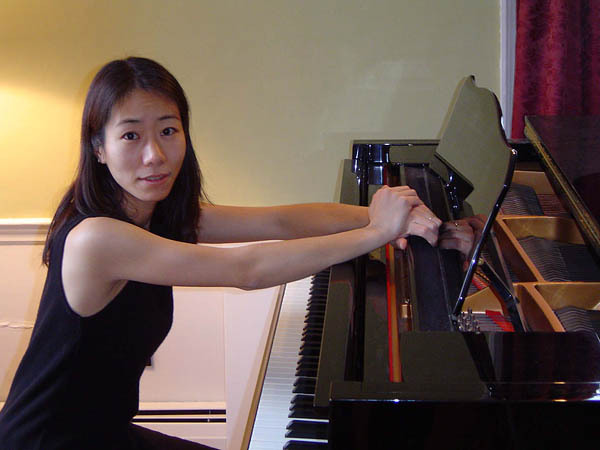 Pianist Chiharu Naruse, a member of Bates’ applied music faculty, performs 24 Preludes for Piano, Op. 41, by Lera Auerbach, a celebrated pianist, poet and visual artist as well as composer, at 7:30 p.m. Friday, Oct. 16, at the Bates College Museum of Art, 75 Russell St. The concert is open to the public at no cost, but tickets are required, available at bit.ly/oacbates. For more information, please contact 207-786-6135 or olinarts@bates.edu. Composed in 1999, Auerbach’s 24 Preludes extend a tradition, represented by such composers as Dmitri Shostakovich and Rodion Shchedrin, of prelude compositions predicated on Bach. Yet her miniatures, arranged according to the circle of fifths, are highly original, colorful and surprising. A native of Japan, Naruse moved to the United States to study with Bates artist-in-residence Frank Glazer in 2002. Naruse holds a master’s in music performance and a master’s in music instruction from the Hochschule Fur Musik Hanns Eisler in Berlin. She has performed in France and Japan, and in Maine has been a featured artist at the Ocean Park Music Festival and the Franco-American Heritage Center. In addition to solo recitals and orchestral appearances, Naruse performs with violinist Dean Stein. She also teaches at the Portland Conservatory of Music, where she is the director of the professional division.